On 15th September 2017, the first YPAG in Albania has been launched, corresponding to a new chapter of iCAN, named ‘KIDS Albania’. 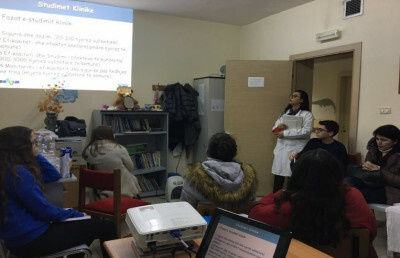 KIDS Albania is promoted by Consorzio per Valutazioni Biologiche e Farmacologiche – Dege e shoqerise se huaj, Albanian Branch Office of CVBF, in collaboration with the University Hospital Center Mother Teresa and the TEDDY Network (European Network of Excellence for Paediatric Clinical Research). Consorzio per Valutazioni Biologiche e Farmacologiche – Dege e shoqerise se huaj is a private Contract Research Organization (CRO) established in 07/05/2015 with the mission to conduct GCP (Good Clinical Practice) clinical trials and support companies willing to conduct clinical research in Albania. It provides a full-service support offering one-stop local solutions to investigators, sponsors, CROs and research institutions thanks to a professional team, able to provide insight on the overall clinical research strategy and help bringing success to a clinical research program. University Hospital Centre “Mother Teresa” in Tirana is a tertiary level Hospital and the only academic and Research Hospital Centre in Albania. Paediatric Intensive Care Unit treats postoperative patients (abdominal and cardiac surgery and sometimes neurosurgery patients) as well as medical severely ill patients with neurological, rheumatic, malignant pathology, and poly-traumatised patients. The European experience in clinical research and the collaboration with CVBF will represent a benefit and a driving factor for the YPAG in the promotion and understanding of the clinical research by the YPAG. The YPAG is composed by 23 young people (new members can be added whenever they apply), age range 11-17 years, both including young patients and healthy youngers. The YPAG won’t be associated with a particular health condition or disease. Members must have a good knowledge of English, according to their age. 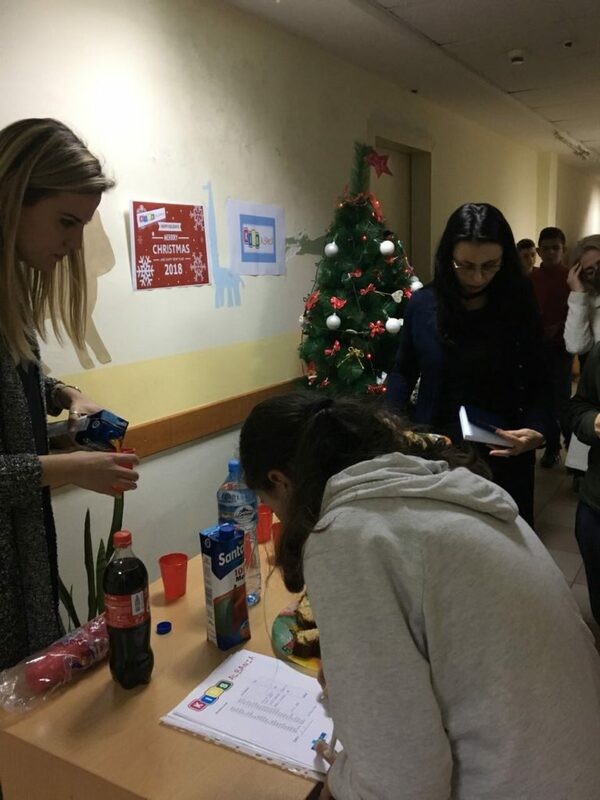 Members have been recruited through the hospitals and the patients’ associations, by means of schools, associations, friends of patients and their families and have been selected according to their motivation and interest in improving health research. The group will meet every 4-6 weeks. The first meetings will be focused on learning about the research process. Education, in fact, will be an important aspect in the development of the YPAG. To address the objectives of the group, education will be thorough, relevant, and ongoing as well as curriculums will be built around evidence-based medicine or epidemiology that are aimed at adolescents exist. The training team will have different professionals involved, such as principal investigators and research nurses, psychologists, pharmacologists, etc. There will be an internal Steering Committee chaired by a leader and will be responsible for the planning and coordination of the activities as well as for the external communication. The YPAG will be regulated by a kids’ chart defining the frequency of the meetings (approximately every six weeks), the activities and a behavioral code. Collaboration with the already existing YPAG will be enhanced since learning with peers will be of great value for the group and can allow young people to test their skills with partners and to interact without reverence. The peer education constitutes, indeed, an educational proposal in which some members of a group are trained to play a tutorial role. Peer education often helps to promoting relationship of mutual education, as recommended by modern development psychology. Manika Kreka, Team Leader, Paediatrician at Hematology Unit of the University Hospital Centre “Mother Teresa” and Medical Director at CVBF Albania. Organization of internal meetings and national/international events (including logistical supports). The YPAG will be further supported, in the organization/implementation of its activities, by a team of pharmacologists, pediatricians, child psychologists, investigators, research nurses and communication experts. The YPAG will be coordinated by a Steering Committee composed by a restricted group of young people who will be responsible for the planning and coordination of the activities as well as for the external communication. The event has taken place at the University Hospital Center “Mother Teresa”, Service of Paediatrics, in Tirana. 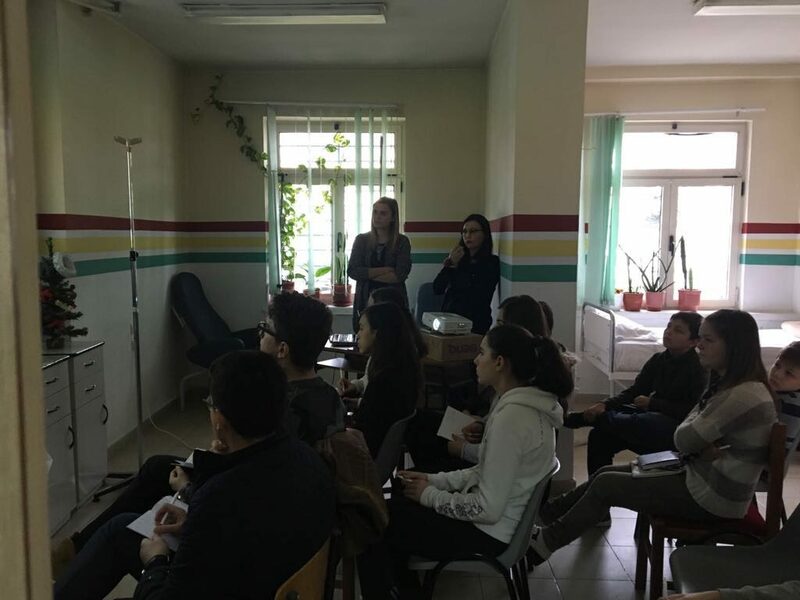 It was attended by about 20 young patients and healthy youngers and their parents willing to advocate children in healthcare especially participants in clinical trials. 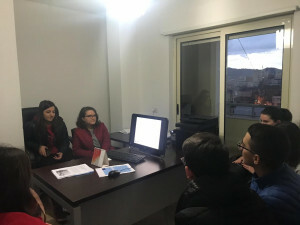 During the event, Manika Kreka the team leader of the group presented the main goals and activities of the YPAG and the iCAN network with a specific focus on what the KIDS Albania will concretely do and its mission. Some informative videos on clinical research were showed as well as the age-tailored informative materials prepared by CVBF during the clinical trials were presented to give them the idea of some practical activities they could be involved in. Mariangela Lupo (Team Leader of the KIDS Bari) and Donato Bonifazi (Chief Executive Officer of CVBF) introduced this initiative and the contribution of the YPAGs widespread in the world with the mission to raise awareness about the importance of children’s involvement in the clinical trials, to support researchers in the design of clinical trials and in defining priorities for future research. 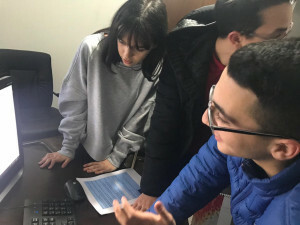 Moreover, during the meeting, the youths were provided with the outline of the group, a leaflet and a consent form for them and their parents to collect and ask the usage of their personal data and to give the consent for participating on this group. It was an ice breaker meeting where the youths were free to introduce themselves, to discuss, to share their experiences, as a possibility for them to know each-other better. It was discussed how the meetings were going to be organized and were presented the pillars of the training plan that all the kids will attend during the first half of the 2018. The youths were provided with some concepts on clinical trials in general and were involved in a very good discussion to make them aware of blood donation and the necessity of this act when they will become adults. During this meeting were developed the first topic of training plan: Biomedicine and Drugs. Two healthcares professionals explained the definitions and shared their experiences regarding paediatric diseases and the need to develop tailored formulations for kids. Learn about the importance of using effective and safe drugs for children. Introduce the process about diagnosis and treatment of paediatric diseases. Increase knowledge about the developmental physiology. 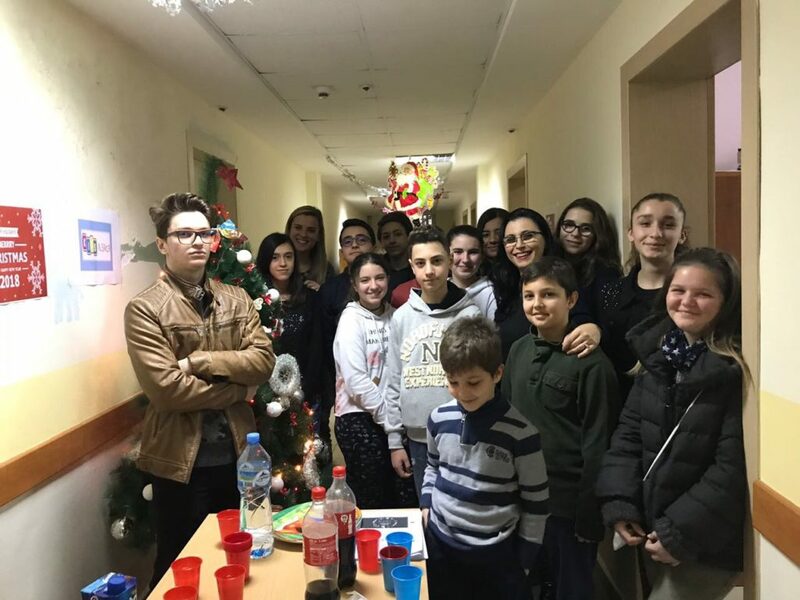 After the theoretical part of the meeting the KIDS were accompanied by two nurses to get acquainted with the hospital environment and some medical devices. The topic of this meeting was ‘Basic Research’ with the goal to make the KIDS aware of the long process of drug development from the laboratory to the first in human use. 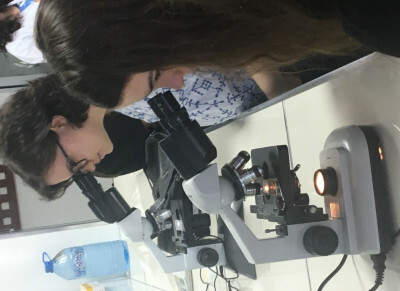 Manika Kreka and Ornela Cullufe held the lesson on Basic Research, discussing about what does the Basic Research mean, the process and the way through the drugs are discovered. They explained as well the long process and the experiments conducted during drug development, the preclinical, clinical research and the post-marketing drug safety monitoring. Moreover, some preclinical experiments were shown to the participants. KIDS Albania were very honored to welcome in this meeting Dr. Charlie Thompson – the founder of iCAN, Dr.Claudio Fracasso – the scientific director of iCAN and Dr. Donato Bonifazi and Mrs. Mariangela Lupo from the TEDDY Network. Dr. Manika Kreka – the medical director of Consorzio per Valutazioni Biologiche e Farmacologiche and Team Leader of KIDS Albania group thanked the guests and welcomed Mr. Thompson on his speech. Mr. Thompson introduced iCAN, the main objectives and activities of iCAN and the youth members had the opportunity to discuss for the way on how to improve the communication within the network. 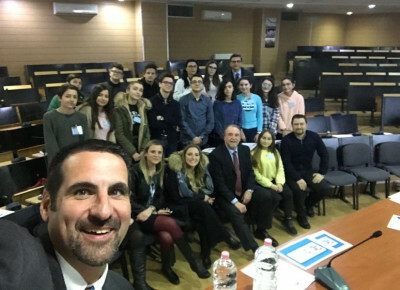 Mr. Fracasso explained to the youth members the importance of YPAGs on clinical research and paediatric medicine in Europe and all around the world. 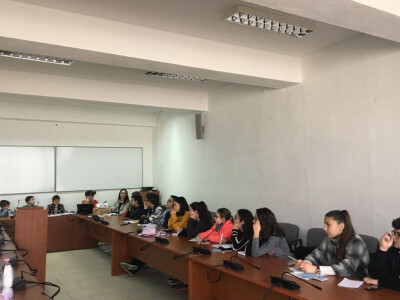 Prof. Erjon Troja, lecturer in Department of Pharmacy – Faculty of Medicine were invited to give to the KIDS a short presentation on clinical research: “Role of clinical trials in drugs’discovery and development. Specific aspects and moments of interests”. 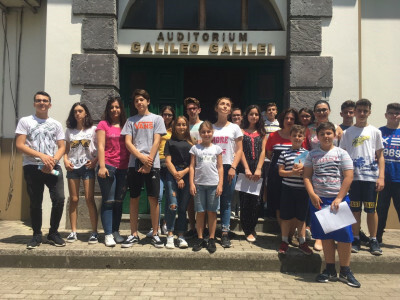 KIDS Albania received a brief tour at the Faculty of Medical Technical Sciences setting. Msc. Anila Cake- lecturer of the Faculty gave information to the youth members about basic first aid, treatment procedures and some instructions with demonstration in mannequins. KIDS Albania has become friend of Rare Disease Day with the aim to raise the awareness on the importance of research in rare disease field. A page dedicated to KIDS Albania has been published on the Eurordis website related to the Rare Disease Day. The youth members saw the official video of Rare Disease Day also translated on Albanian subtitles. The meeting has taken place at the Faculty of Technical Medical Sciences. Dr.Anila Godo Professor at the Faculty of Medicine, Paediatric Department and Doctor in oncology-haematology paediatric department presented an interesting and fruitful lesson with the topic ‘Iron Deficiency Anemia’ as the adolescents are at high risk of iron deficiency and anemia. She taught them about the important role of iron in muscle function, energy creation, and brain development. As a result, a child with iron deficiency may have learning and behavioral problems. She showed them a list of iron rich foods for teenagers, that they should include in their diet. 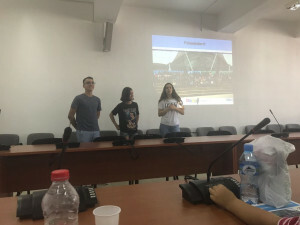 KIDS Albania held their 7th meeting at the Faculty of Pharmacy, ‘ALDENT’ University. 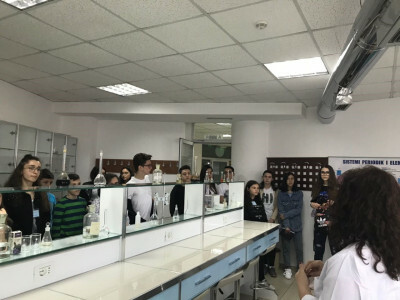 At the first part of meeting the participants visited the laboratory of Faculty where Dr.Entela Haloci, lecturer at Faculty of Pharmacy, performed a several quality control test of drugs such as: dissolution test, tablet hardness, friability test. The KIDS were acquainted with several herbal drugs and saw their internal structure on the microscope. During the second part of the meeting the KIDS attended a very interesting lesson: ‘Adolescent growth and Development’ from Dr. Agim Gjikopulli, a Pediatric Endocrinologist. As an introduction, he had prepared a slide with all the famous people such as: scientists, presidents, actresses who has suffered from chronic illness, giving faith and hope to our KIDS. 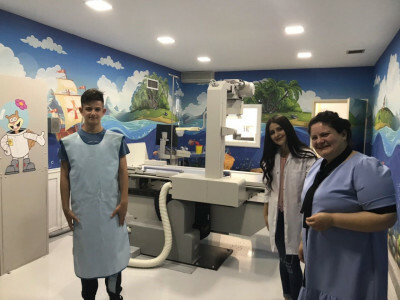 In the first part of the meeting the KIDS visited the new cabinet of Pediatric Radiology where Dr.Blerina, Radiologist at Paeditric Unit, explained to them some terms regarding Radiography and how it works. Three children of KIDS voluntarily performed examinations of abdomen, joints and soft tissues of neck. During the second part of meeting, they attended a lesson from Dr.Irena Kasmi: “Food and seasonal allergies”, they shared their experiences and learned how to give the first aid in an allergie emergency. The team leader Dr. Manika Kreka shared with the KIDS the winning essay of Olivia Ohmer “Why iCAN is important to me”, all of them liked it, and appreciated the girl for her writing. Meeting held on ‘Summit 2018, Edinburgh’ and on ‘Patients Rights’. The most important part of this meeting has been the discussion about the 2018 iCAN Research and Advocacy Summit held in Edinburgh. Six youth members of KIDS Albania participated on the Summit and on this meeting, they shared their experiences with the other members. 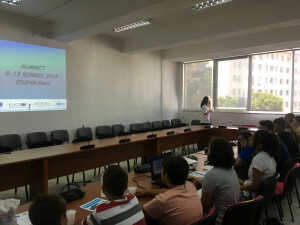 One of the youth who participated in the event, Nesila Bylyku, brought to the KIDS a presentation with all the activities that took place during the summit. All together they explained what they learned from the presentations day-by-day, workshops on how to design clinical trials, how to create proper patient information sheet. 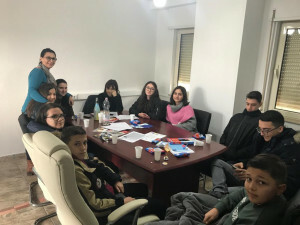 The youth of KIDS Albania were excited to had the opportunity to meet the other YPAGs, make new friends and creating unforgettable memories together. Some photo captured during the week of Summit were shown as well. 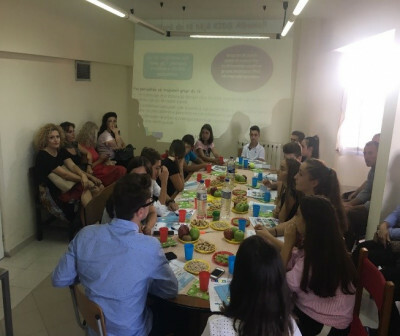 During the second part of the meeting, Dr.Manika Kreka and Dr.Ornela Cullufe, gave a presentation on Patients Rights, the definition of the Patient, what is owed to the patient as a human being by medical caregivers, as well as by the institutions and people who support them. She explained the importance of accepting the diagnosis and the strategies on how young people to cope the disease, the crucial role of family, siblings, friends and the creation of good relationships with healthcare providers. As this was the 10th meeting, we distributed Certificates of Participation to our KIDS in order to value their actively participation in the training phase and to encourage them for further activities of the group. This meeting was organized to discuss about the survey dedicated to oral dosage forms that is developed in the framework of the WP8-11 of EPTRI. The youth of KIDS Albania gave their suggestions on how to make the survey more clear and suitable for children. They translated it in Albanian language. We celebrated with music and warm conversation with each other as this was the last meeting of 2018. 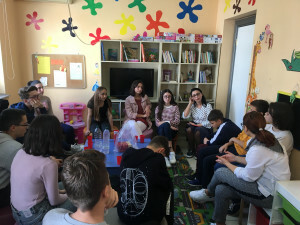 During this meeting we decided to open a mail address and instagram account for KIDS Albania group, so this will help us to disseminate information on our group and our activities. We had a new member on our group, the other members explained to him the objective and the activities of KIDS. He is very excited to join us. We discussed about the EPTRI survey and its dissemination. Children will disseminate it in their schools (there are 5-6 highschools not only in Tirana and 2-3 secondary schools). Two members proposed to disseminate it through a website of their highschool where all the students are part of it. Two other girls proposed to write about the survey in a project that they should develope and that will be published in the school’s journal. 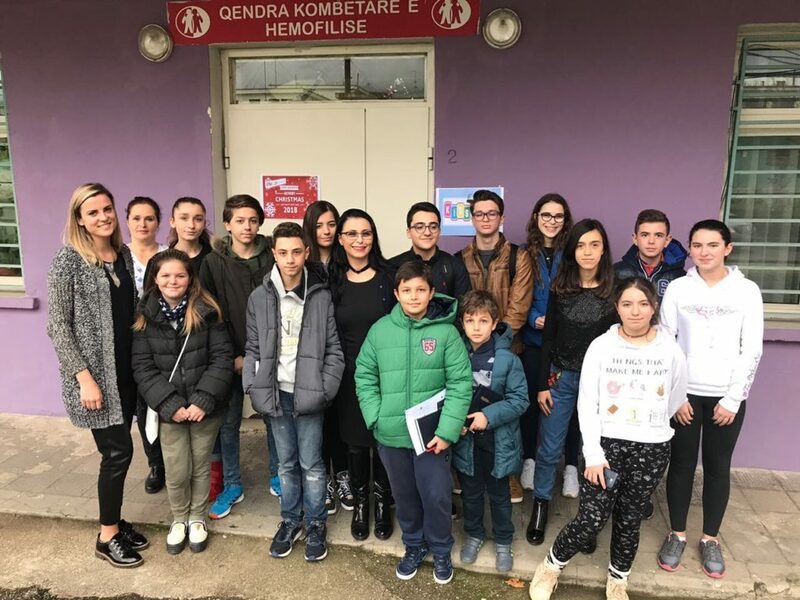 KIDS Albania will support Rare Disease Day 2019 campaign. We will raise awareness about Rare Disease Day in schools, will share posts and videos (in albanian language as well) through our instagram account. Moreover, we discussed about the possibility of participating in a TV program on health where we can promote our group and talking about Rare Disease Day too. 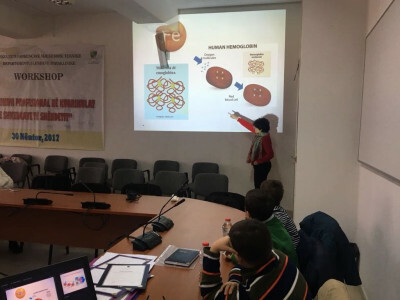 In the second part of the meeting, Dr.Manika Kreka and Dr. Ornela Cullufe, showed them a powerpoint with information on ‘Most prescribed drugs in children and teens’ and ‘Most common travel diseases’.